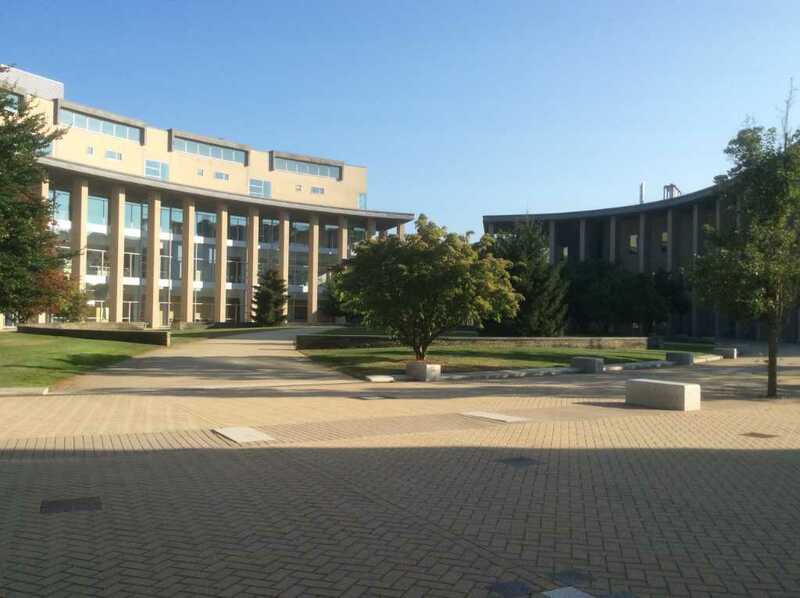 Olin College’s main academic building is on the left; administration is on the right. In the early 1990’s, leaders in the engineering field started to realize that there wasn’t a strong enough pipeline – too few students were choosing to study engineering, and they knew the demand for workers in the varied and growing fields of engineering was high. They realized that we hadn’t changed the way we teach engineering in 50 years – colleges were separating math and science until junior year, when students could finally start to build stuff. So they were getting bored doing problem sets, and they weren’t getting experience working on a team. Colleges were resistant to change their methods of teaching, so the Franklin W. Olin Foundation, named for an engineer-turned philanthropist, decided that instead of giving a smattering of colleges money to build engineering buildings (there are 68 buildings on 59 college campuses with the Olin name on them), they would concentrate all of their philanthropy into a new college that would do things differently. And in 1997, Olin College was born. 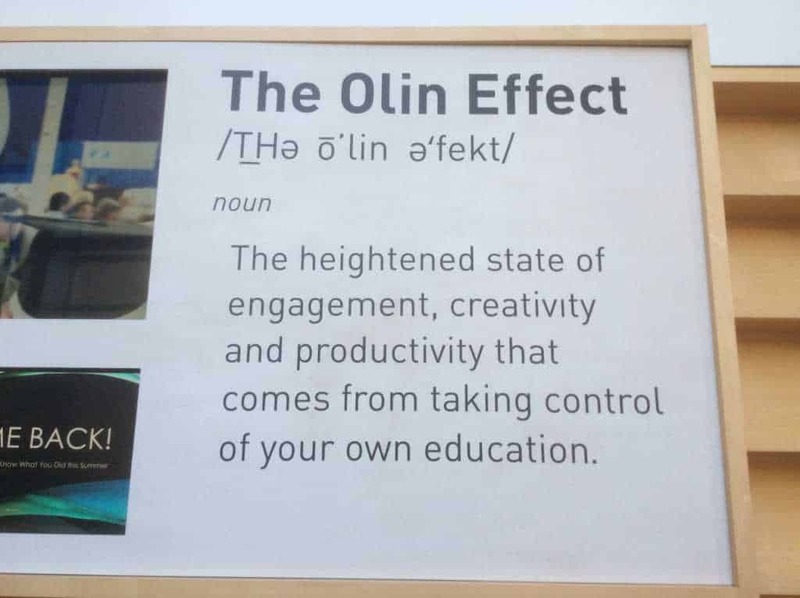 Olin College creates a very self-directed, hands-on engineering education for its students. Olin’s mission is to have students find and apply knowledge; seventy percent of the curriculum is engineering-based, and all programs are ABET accredited. There is a liberal arts core as well, so students will take 6-7 courses in arts, humanities and social science during their time here. Located immediately adjacent to business-dominated Babson College, Olin has cross-registration with Babson, Brandeis and Wellesley. Oliners, as they call themselves, dive immediately into team- and project- based work, with 2 design projects their freshman year, and they will have completed 25-35 group projects before they graduate. Half of its 350 undergraduate students are women – compare that to an average of 19% at other engineering colleges. All students receive a half tuition scholarship, plus Olin meets full demonstrated need for those who cannot afford the remaining tuition. Students own all of the intellectual property related to all projects except for their senior capstone, which is a full-year, team-based, industry-sponsored project (when I visited Olin, there were a bunch of adults walking through the hallways with name tags that said ‘Amazon Robotics,’ and we were told that they couldn’t tell us about this student project because it was under NDA.). All students are trained on a handful of machines in the metal shop so that they can create their own tools and parts. Every classroom has student helpers – they’re called NINJAs (need information now? JUST ASK!). The campus a capella group is called the Power Chords, and Olin is home to the only collegiate all-engineer conductor-less orchestra. Fidgeting is encouraged at Olin. Really. 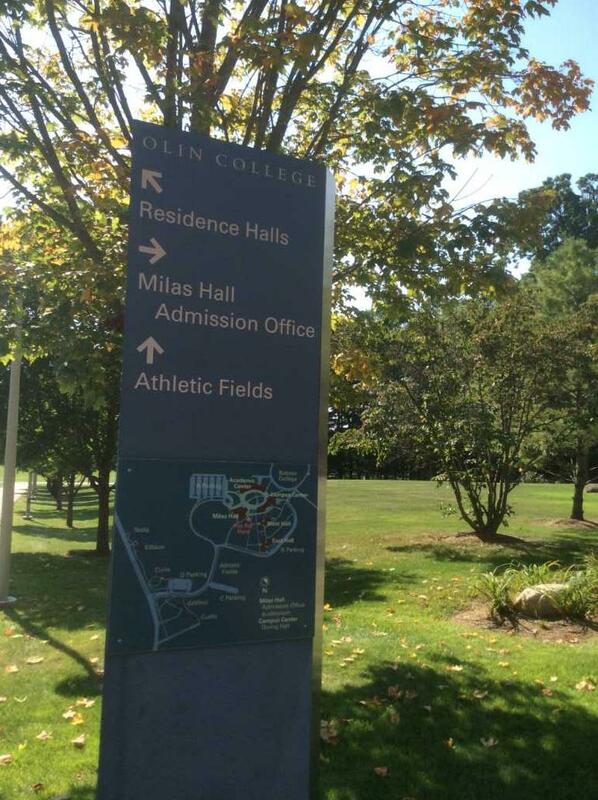 Olin receives approximately 1100 applications each year, as they build a freshman class of 84 students. About 250 applicants are selected to visit campus for ‘candidates’ day,’ where they will work in teams on sample engineering projects under the supervision of Olin professors, who help the admissions team select the final admitted students. With such a small class, fit is extremely important here; professors and admission counselors are looking for the students who have the most potential to contribute to this community. Evelyn visited Olin in fall, 2017. You can scroll through all of her photos here.